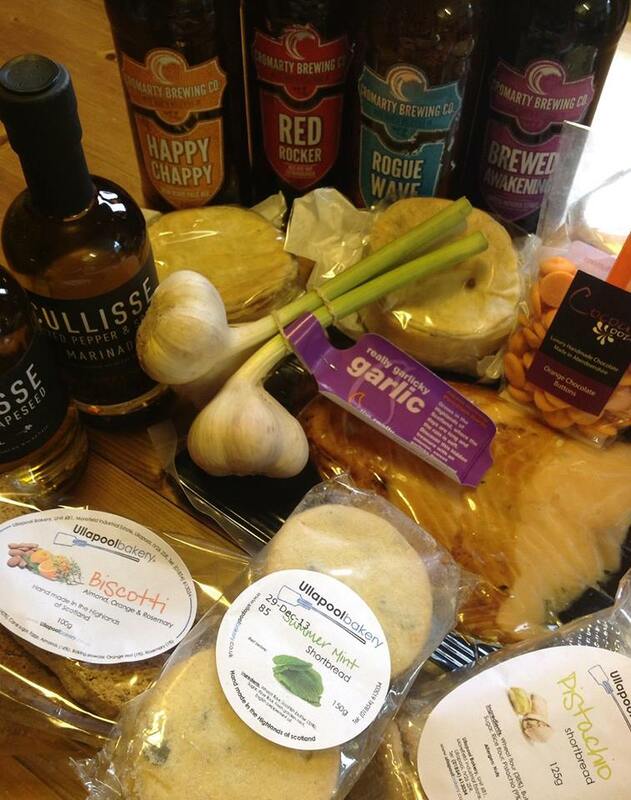 The focused series of twitter chats using the #ScotFood hash tag aims to encourage those who grow, produce, prepare, use and enjoy Scottish Food to get to know each other better. Friendships are formed, minds opened to new opportunities to work together and the diversity and abundance of Scotland’s natural larder is promoted. 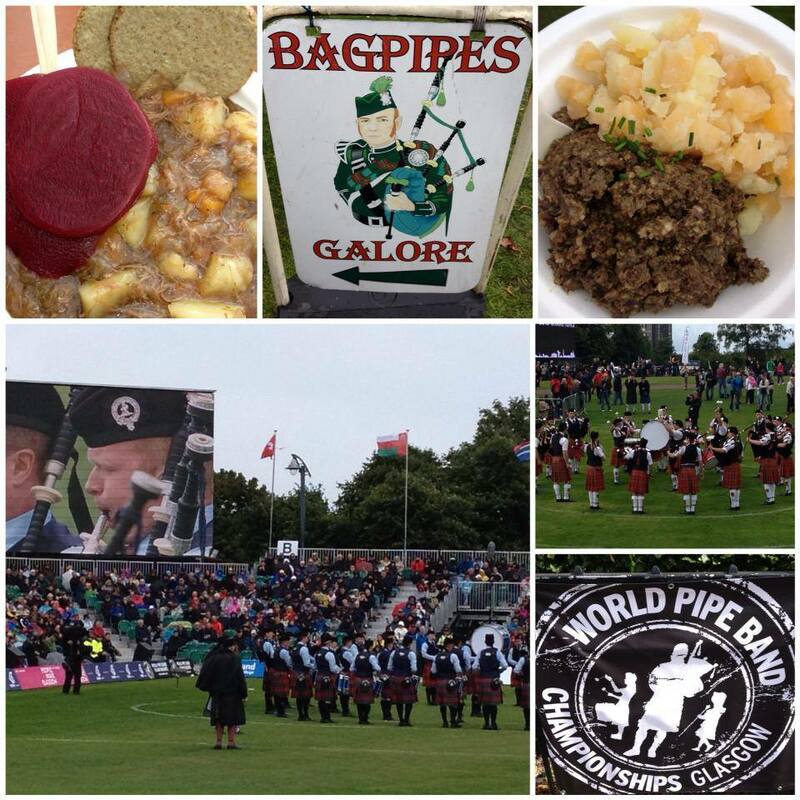 To take part just make sure you are on Twitter between 9pm and 10pm on Monday 2nd September. If you RSVP to the event at twtvite you'll be tweeted a reminder. Invite your foodie friends to participate too and have a wee think in advance about your answers to the questions. 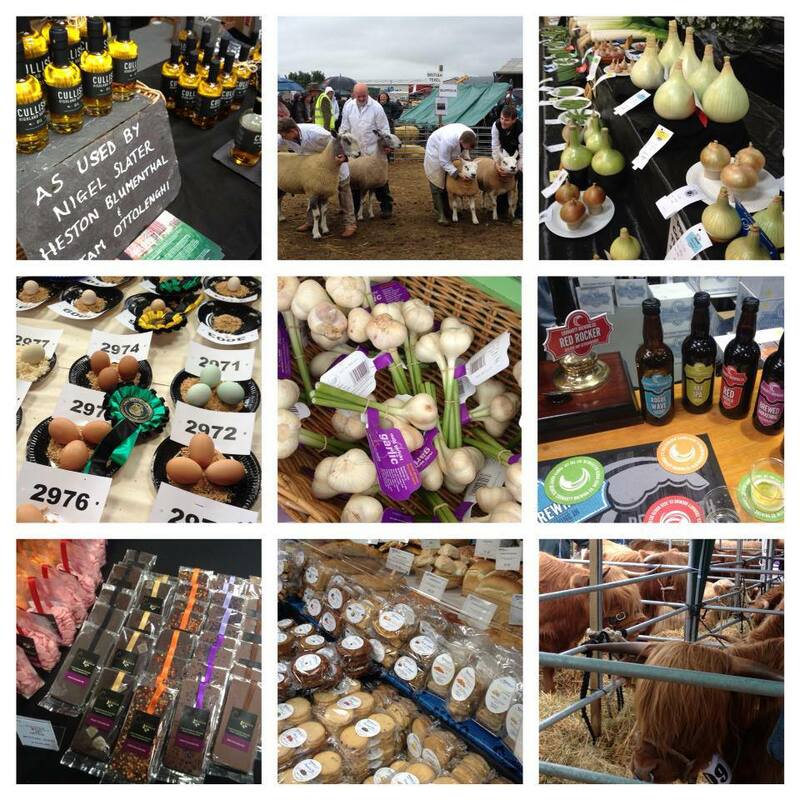 After the chat, search out those who’ve participated, and follow them on Twitter, continue the conversation, support their efforts by RTs and #FFs and make the #ScotFood connection in other ways. In my about me page I state that Santa brought me a Brownie Cookbook and the rest is history. That is indeed the case but alas I no longer have said cookbook. My story is that my Mum must have got rid of it however she categorically states that I did. Either way it obviously went to a jumble sale at some point. Not sure exactly what prompted me but a couple of weeks ago I was browsing Amazon and had a search for Brownie Cookbook. Lots of results including some fab looking books for the modern Brownie. Right at the end of the list was my book. 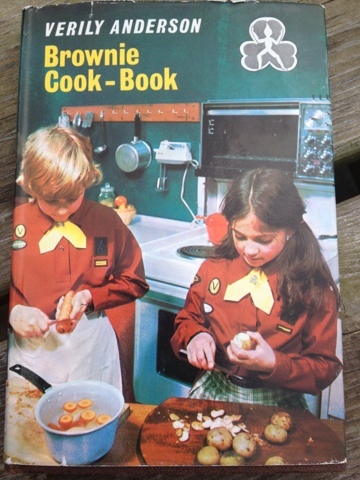 The Brownie Cook-Book by Verily Anderson. Priced at only slightly more than its original £2.20 price tag I splashed out and ordered myself a replacement copy. Much excitement when it arrived. The memories really came flooding back and I totally remembered so many of the illustrations. I must have poured over it and read it from cover to cover on numerous occasions. Some of the text is hilariously earnest (and downright sexist!) in retrospect but at the time I poured over every word and took it as gospel. I shared my excitement on my Facebook page and Twitter which led to lots of reminiscing about first cookbooks and sharing of photographs. 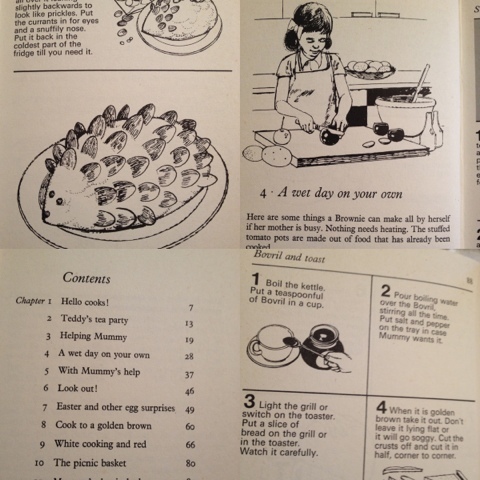 Only one person recalled also having "The Brownie Cookbook" but was clearly a big fan as apparently Verily Anderson wrote lots of Brownie books which Kelly collected. The BeRo book was a popular first, accompanied for many with a BeRo man. Keep Calm and Fanny On (still treasure and use it a lot) Melanie ( I was always helping my mum cook and could make a mean cheese sauce by the time I was 7) and Craig (came with the BeRo man I got fae Suntie). By this point I was feeling a wee bit deprived that I never had my own BeRo man, although I do remember that my friend Wendy had one. Apparently "You could use his head as a bowl and his bowler hat was a sieve". Elaine's favourite was the "Mr Men Cookbook" but she fears it was a victim during a house move. 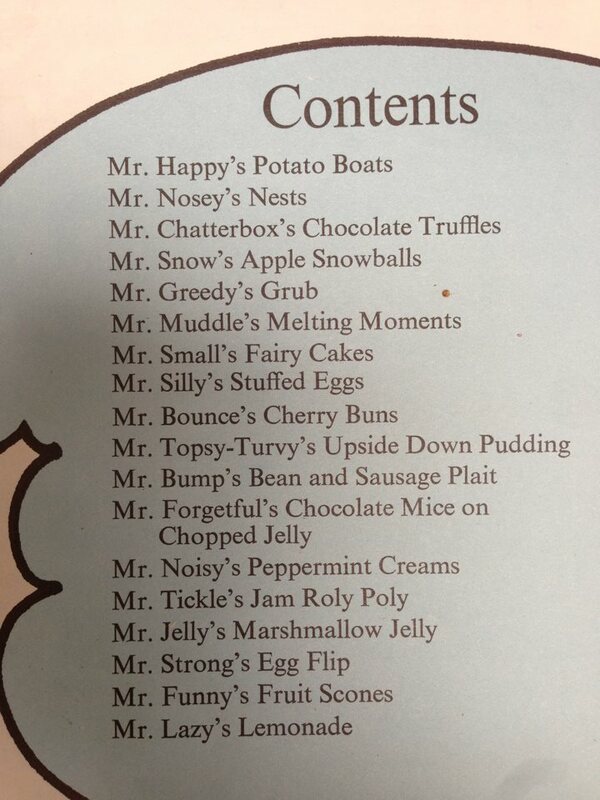 Stephanie still has her copy and shared the fantastic list of recipes from the contents page. It was only when Stephanie messaged me with a photo of her beloved "Blue Peter Book of Gorgeous Grub" that I remembered that I had this one too. If I recall correctly it was a collection of recipes that viewers had submitted for one of the infamous Blue Peter Competitions. Alas I no longer have my copy. 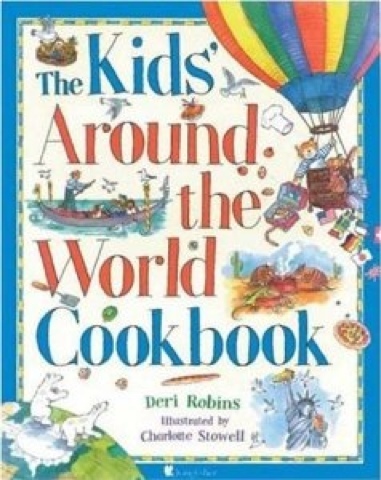 Victoria Sponge Pease Pudding was always intrigued by the Hungarian entry of Cold Cherry Soup in her "Kids Around the World Cookbook". Two food bloggers (Chocolate Log Blog and Janice at Farmers Girl Kitchen) both started off their foodie journey with a copy of "My Learn To Cook Book". 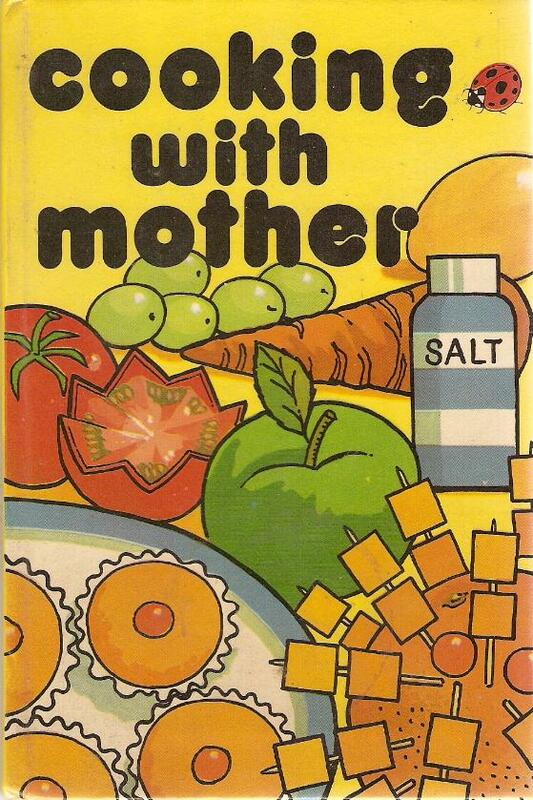 Laura hopes that her "Fun to Cook Book" is still at her Mums. I have told her to go and retrieve it along with her copy of "Fun To Sew". 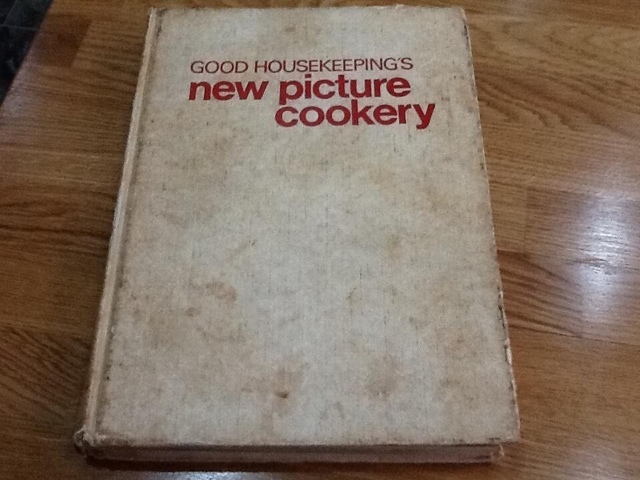 Rachel Gillon received Good Housekeeping's New Picture Cookery as a 3rd year Food and Nutrition Prize in 1975. Its been well used over the years and is still referred to. 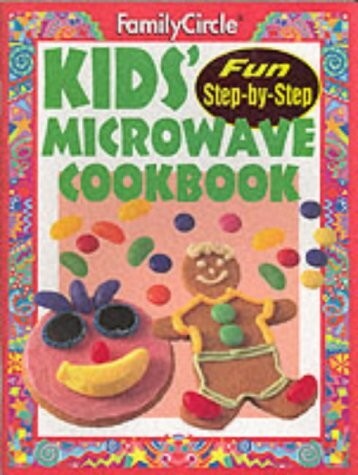 I must admit that I had a wee snigger at Briony from The Glasgow Food Blog's "Step-By-Step Kids Microwave Cookbook" when she commented "if I remember correctly, we didn't actually have a microwave either" I guess its the thought that counts. 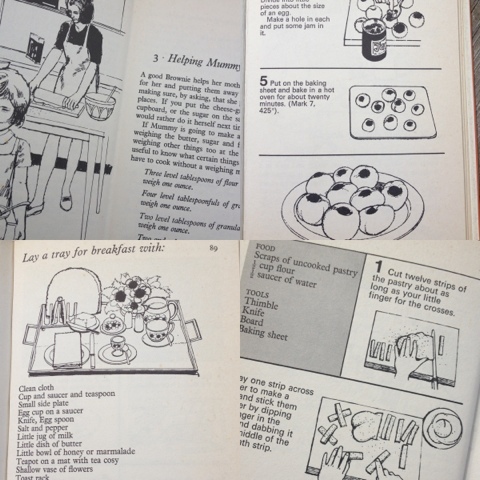 Donna rescued her copy of Ladybird Learnabout Cooking from her Mum's house when they moved. Camilla at Fab Food 4 All had it too and Lynne summed it up well "Fab fab fab. 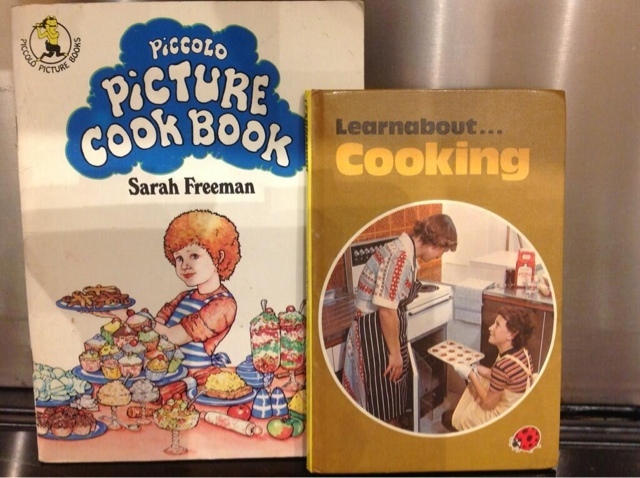 Somehow kid's cookbooks today don't have the same appeal as those 70s ones" In addition to Leanabout... Janet also had the Piccolo Picture Cookbook. That looks like some party feast on the cover. 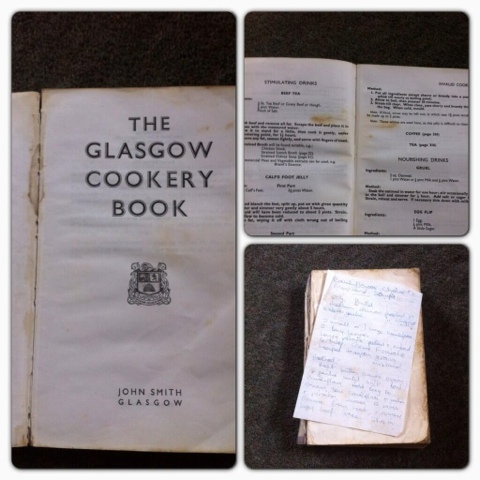 My Mum initially thought that hers was the "Aberdeen Cookery Book" but realised that she had told a lie. 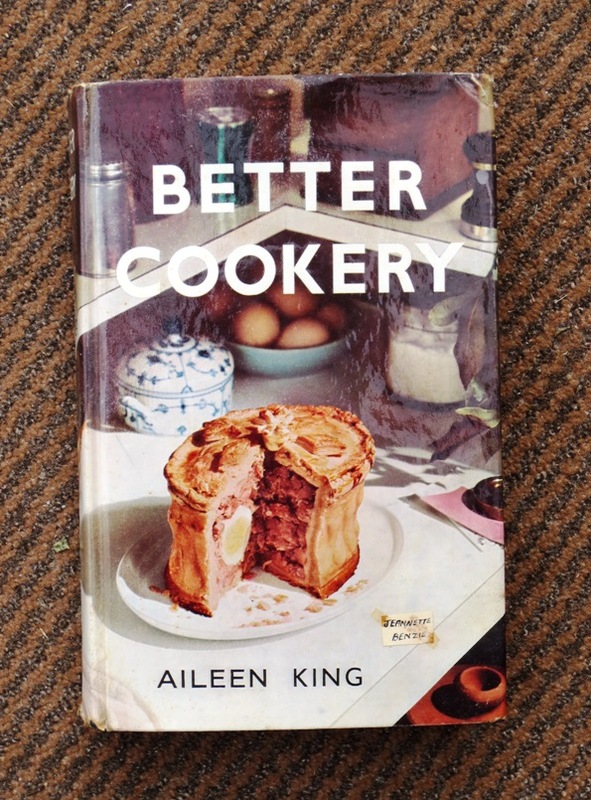 "Just remembered that in my last year at the Academy I won a prize in Domestic Science and could choose a book so I chose "Better Cookery" by Aileen King. It is dated 1962 (written inside the cover) the year I went to College." 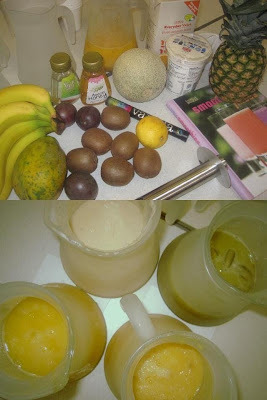 Alas my Sister clearly suffered from second child syndrome and cant recall ever having a cookbook of her own. 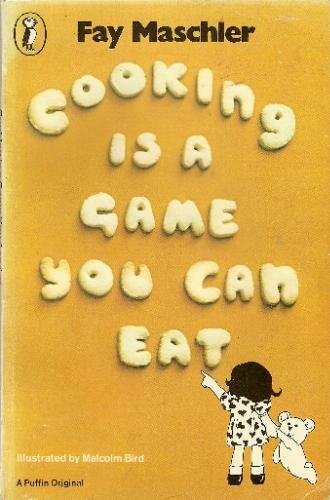 Kate still has her copy of "Cooking is a Game you Can Eat". Love the name and the look of this one in Puffin Paperback. 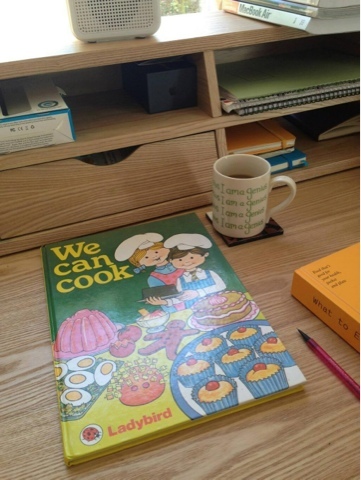 Diane added a third Ladybird book to the collection "Cooking With Mother" Especially liking the retro hedgehog on the cover of this one. 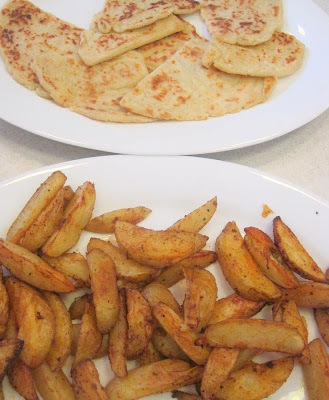 Mine was my mums handwritten, contained all the recipes she tried and liked, unfortunately it is no more , however I have started one of my own and it has many recipes from you all that have been shared and enjoyed. 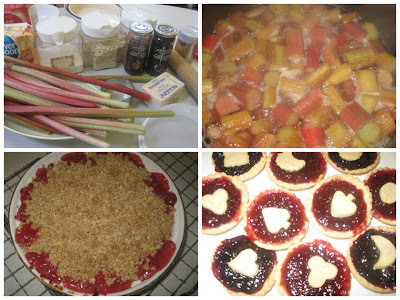 I have tried to put the name or source beside each recipe to give credit where it's due. Hope that eventually my granddaughter might like it. Gosh, I have no idea. I think it was probably Delia's Complete Collection. My Mum's old jotter from her Home Ec at school. I still use the truffle recipe. No other one matches up. 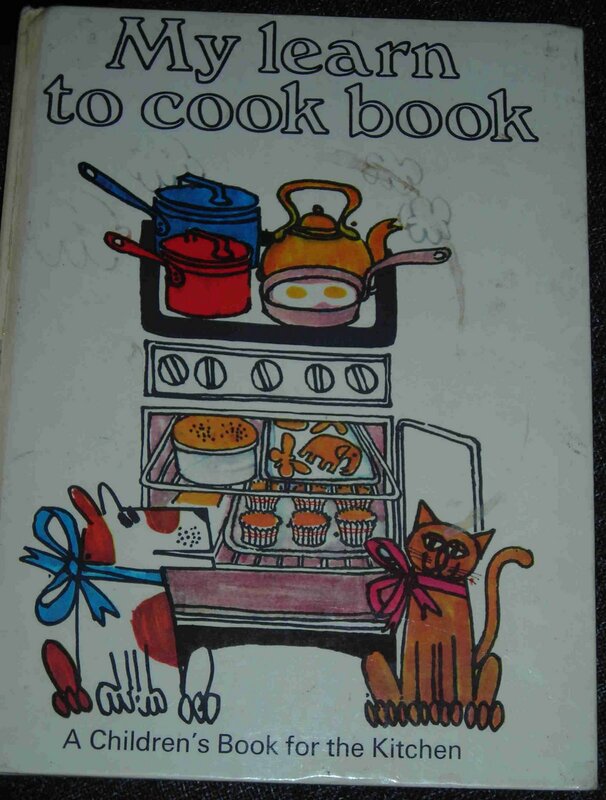 Its long gone now, but my first cookbook was The Wombles. Love the sound of this. Would be great to see what Madame Chollet cooked up in the burrow. 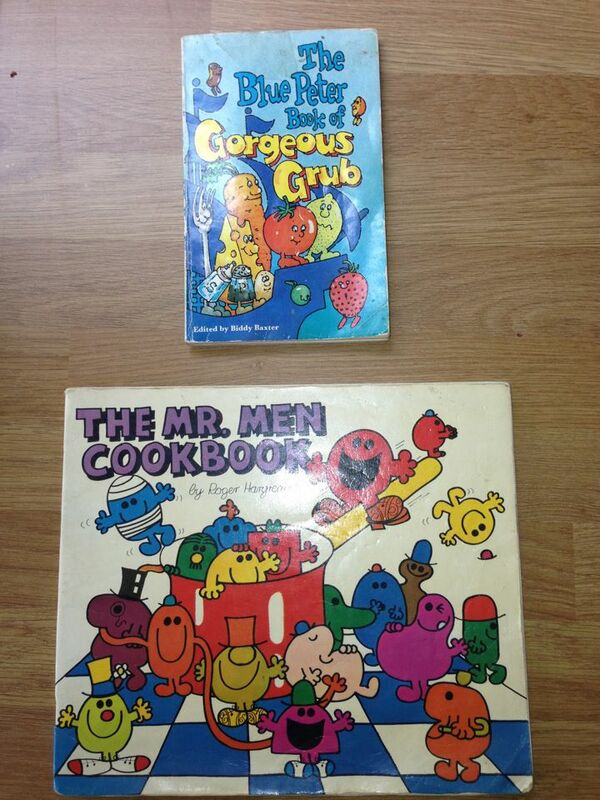 I was a big Wombles fan and had all their albums but no cookbook. Alas despite extensive Googling I can't even find mention of one. Anyone else remember one? 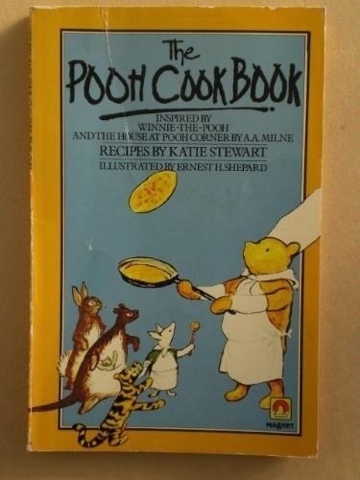 Please don't let a Wombles cookbook be a figment of Kate's imagination! 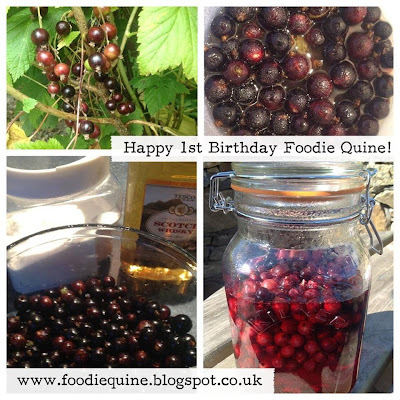 I have absolutely loved hearing about and seeing everyone's first cookery books. Its been a real trip down memory lane and so great to hear of many books still being used and inspiring life long passions for cooking. I'm sure there are many others out there with tales behind them. Please do leave me a comment below telling me about yours. 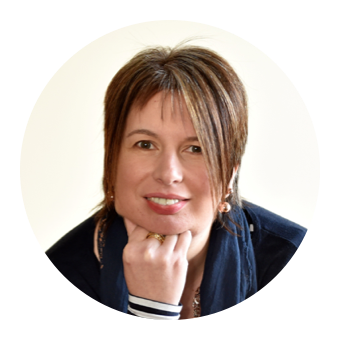 For the bloggers I've created a Linky. If you'd like to do a blog post about your first cookery book I'd love if you linked up and shared your memories. Happy for you to link up any existing posts but please add a link back to this one and share the #firstcookerybook love. 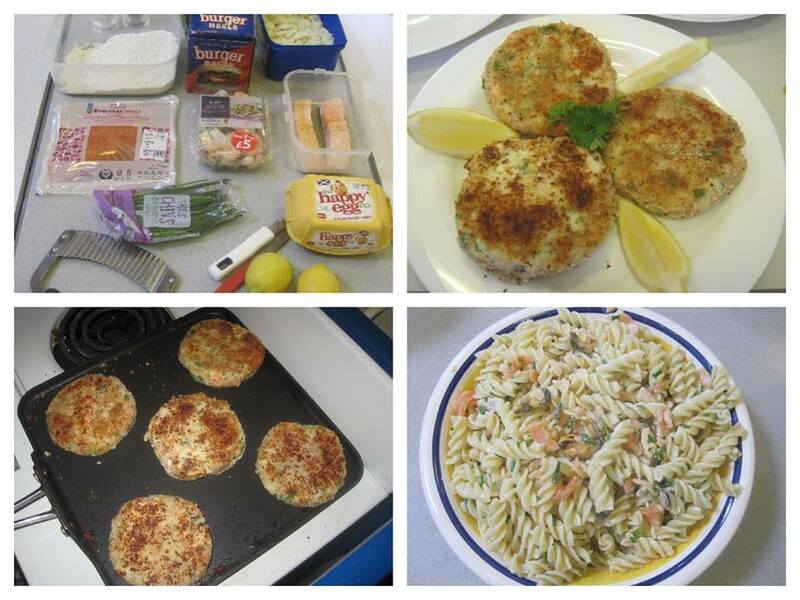 Thursday night has been Seafood night for the last two weeks in the Foodie Quine household. 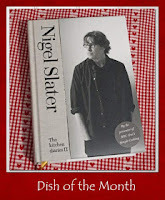 Last week courtesy of Rock & Oyster and this week a Nigel Slater dish. I was really excited when I heard that a new seafood restaurant was opening in Aberdeen. Due to its proximity to the fishing grounds of the North Sea you would think there would be a proliferation of seafood on offer in the city but unfortunately that has not been the case. I was delighted to be invited to attend the launch event for the new venture in the former Pavarottis on Union Terrace. The Head Chef is 25 year old Ryan Fowler who lists flavour and food integrity as his top priorities. It was great to chat to him about the venture and his down to earth, non pretentious and passionate style really shone through. 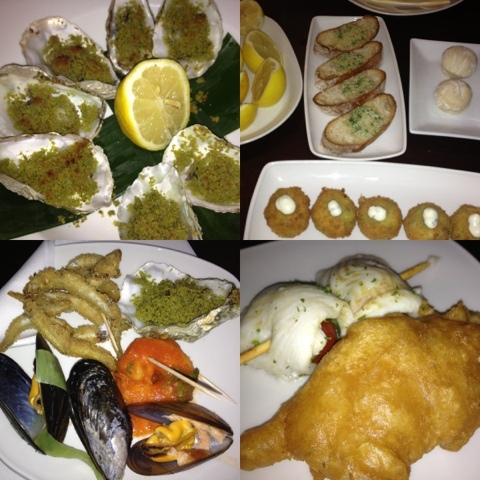 We were treated to a fantastic selection of items from across the menu. I'm first to admit that I really don't see the attraction of oysters but I did at least try one of the Rockerfella. 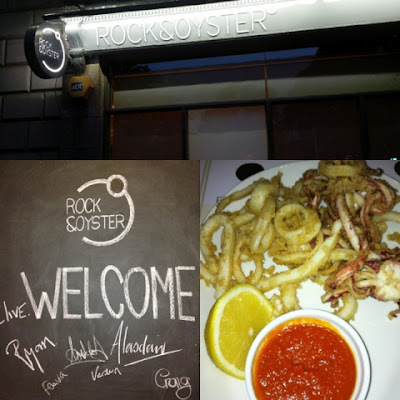 I absolutely loved the deep fried whitebait and calamari which were cooked to perfection. 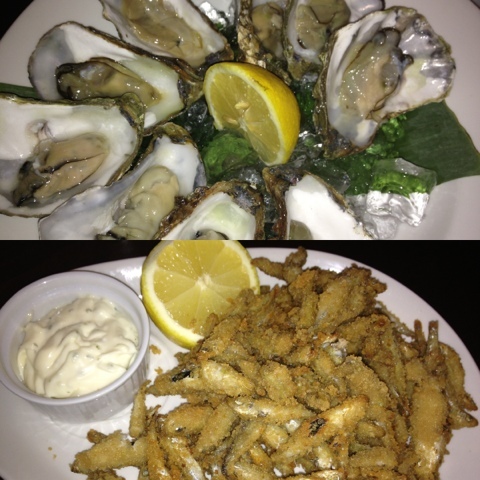 Crispy, non greasy and accompanied by delicious lemon aioli and spicy tomato sauce. I most probably ate way more than my share of them from the communal plates. Foodie Loon's favorites were the Mussels and the King Prawn Arribata. He wouldn't even eat prawns when I fist met him so has come a long way under my guidance. Departing from seafood was In-House Oak Smoked Pork Belly. This was awesome. 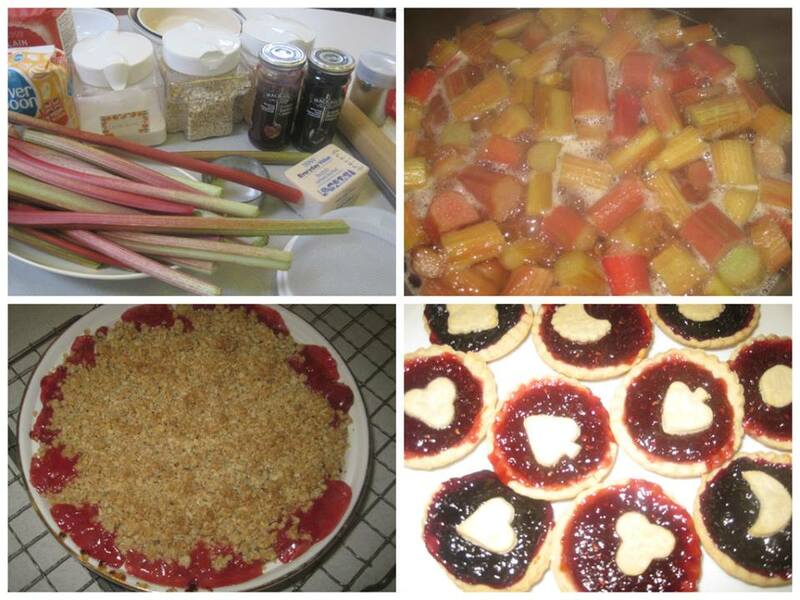 There is something very clever going on in the kitchen with the beer glaze and cooking of this. The food just kept on coming. So much more than the promised canapes on the invitation. 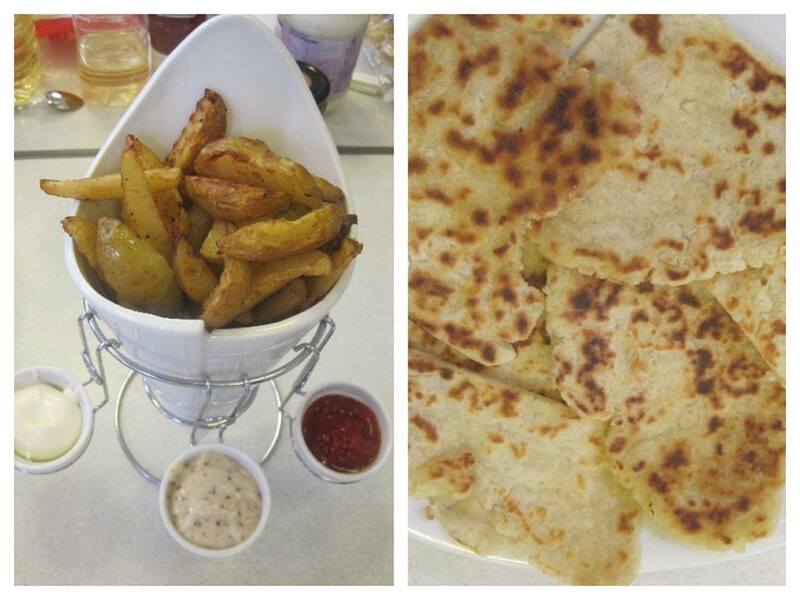 Arbroath Smokie Fishcakes, Fish Pie, Beer Battered Haddock and fab homemade mushy peas and tartare sauce to accompany. A great night. Left with full bellies and a great impression. We will be back. A week later and seafood was back on the menu. 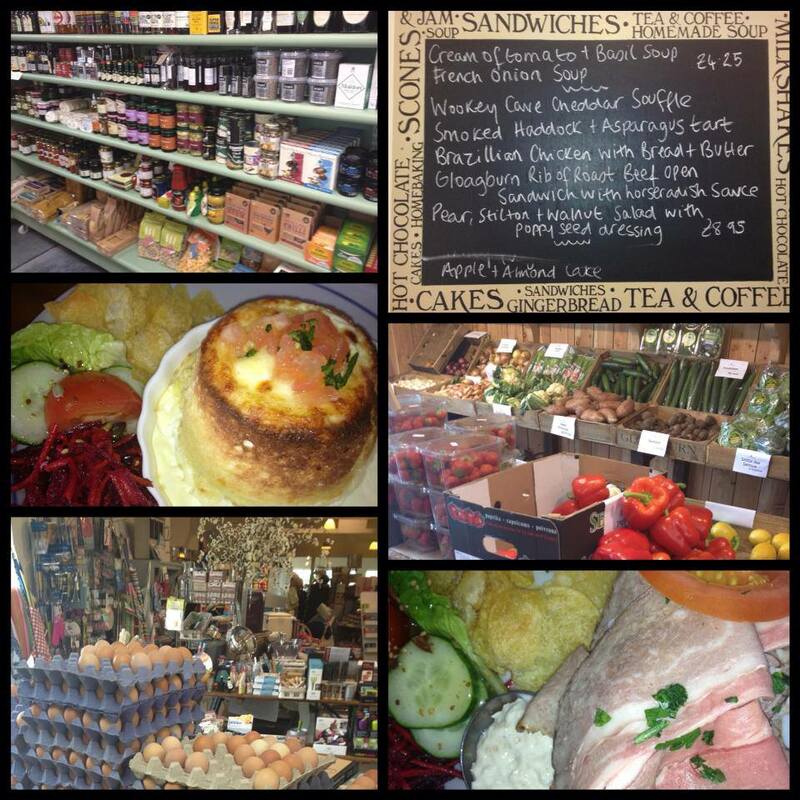 We have a fab fish shop The Creel in Stonehaven which has a great selection. 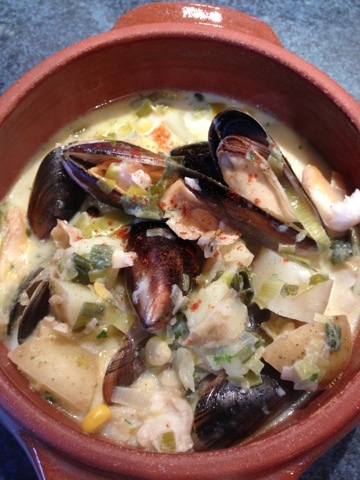 I bought smoked haddock and mussels to make chowder and some crab and samphire for a Friday night risotto. 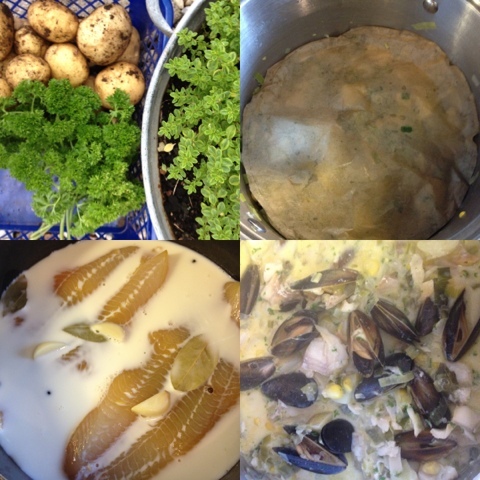 I followed a Nigel Slater Simple Suppers Smoked haddock chowder with leeks and sweetcorn recipe so I'm linking this post up to Farmersgirl Kitchen Dish of the Month Challenge. I didn't get round to taking part last month due to holidays so its good to be back. I'm not very good at leaving recipes alone so I made a few additions. Firstly I used some oil alongside the required "good slice of butter" to cook the leeks. 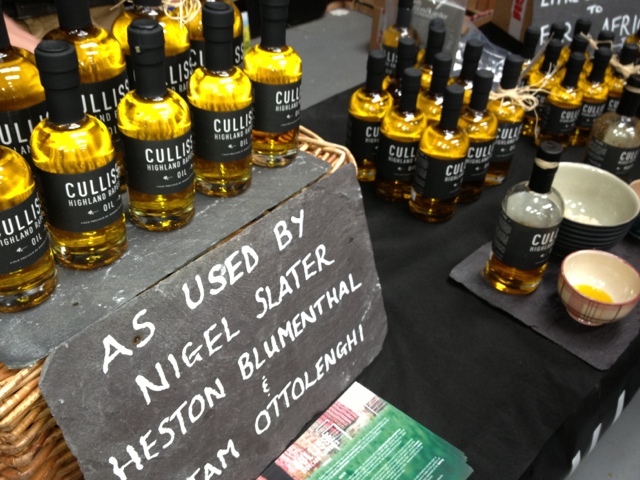 It was Cullisse Highland Rapeseed Oil "as used by Nigel Slater" so I hope that's okay. 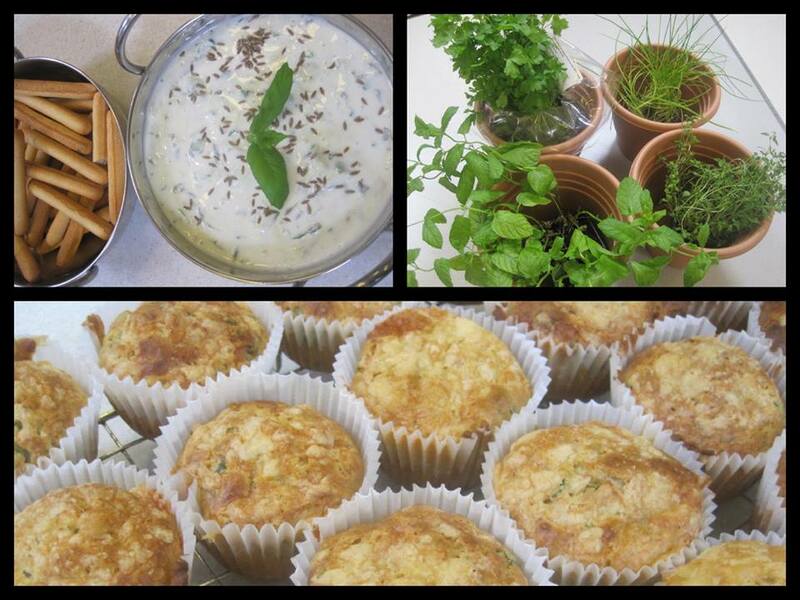 Tatties, thyme and parsley were harvested from the garden. Alas no leeks in my veggie patch. Had never come across the method of using a circle of greaseproof paper in addition to a lid but it worked well. 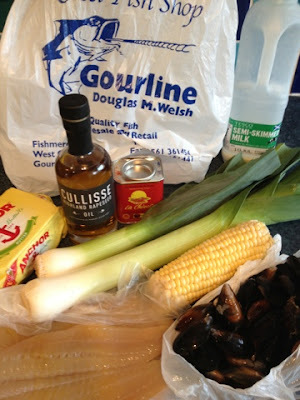 Added some garliky garlic to the milk infusion followed by mussels and smoked paprika at the last minute. A fantastically hearty dish with great fresh flavours. 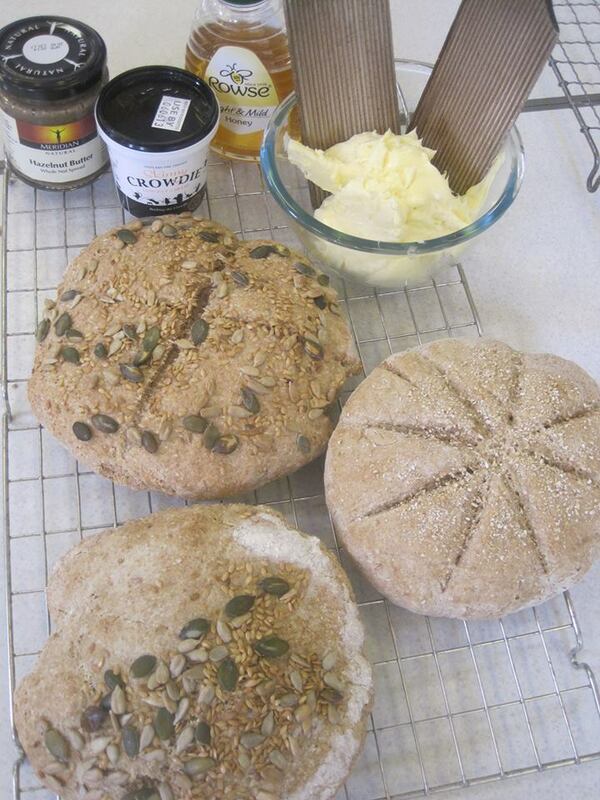 Actually very simple to make and the ingredients spoke for themselves. Crab and Samphire Risotto tonight and I guess I'd better line up something fishy for next Thursday. Or perhaps I'll go for Paper and Scissors. Third option would be to head back to Rock & Oyster and sample their Seared Scallops with a black pudding and apple risotto served with a Stella Cidre reduction. Best go book me a table. We were treated to a feast of nautical nibbles when singing with Aberdeen Rock Choir at the launch ceremony of a Mosaic Boat created at the Forest View Day Centre in Stonehaven. 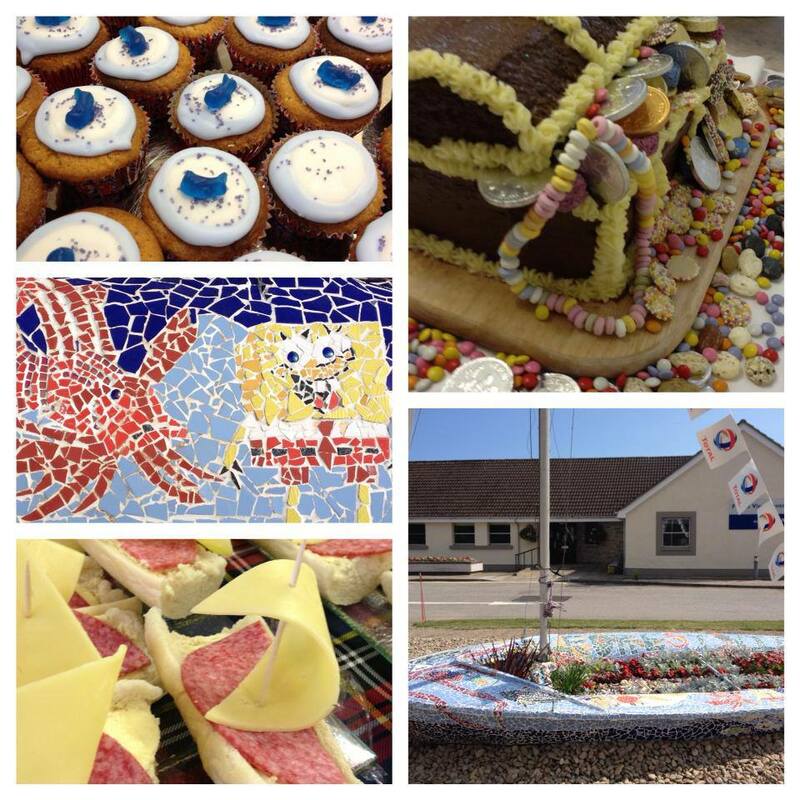 Particularly enjoyed the Salami and cheese slice boats. 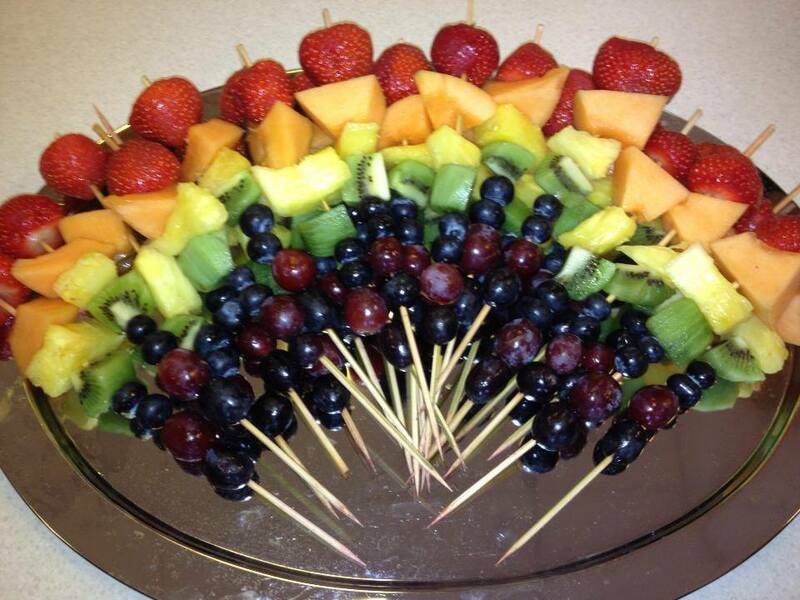 Need to find an excuse to recreate them. 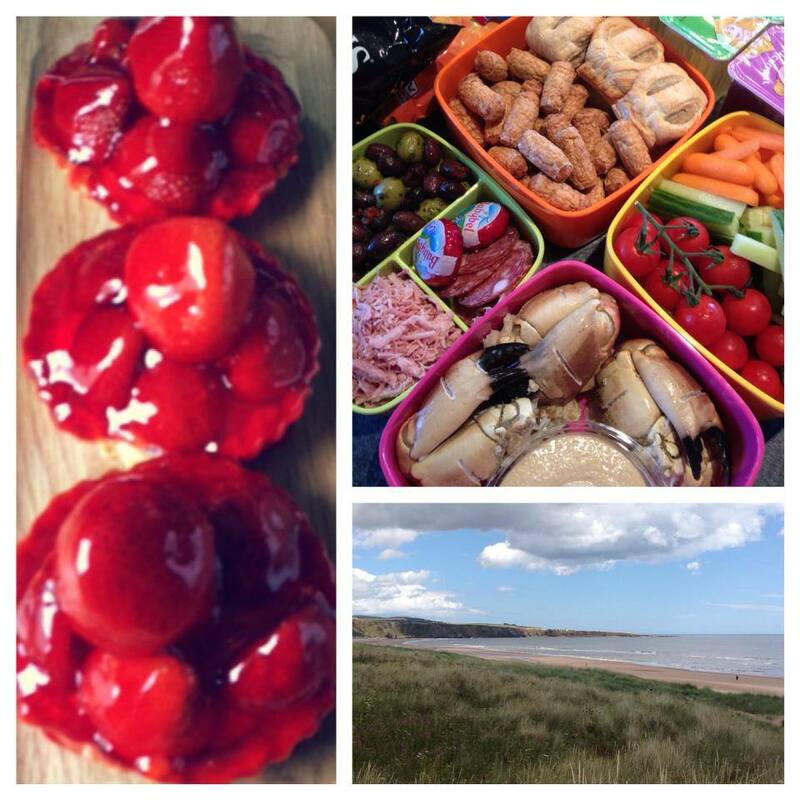 A fun day out with friends for a picnic at St Cyrus beach encompassed sunshine, rain, thunder and lightning. Followed by a visit to Charleton Fruit Farm for some berry picking and giant strawberry tarts. A grand day out at the Black Isle Show despite the somewhat soggy weather. This is my local to home (childhood home) agricultural show and there have not been very many years in my life when I haven't attended. 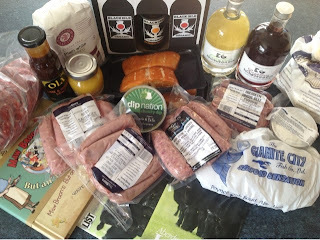 My foodie haul from the show with products from the Really Garlicky Company, Cromarty Brewing Co, Cullisse Highland Rapeseed Oil, Well Hung Lamb Company, Ullapool Bakery and Cocoa Ooze Chocolates. 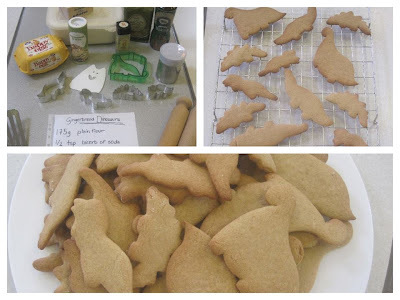 Especially loved the Mint Shortbread from Ullapool and will be attempting to make my own version. The other big hit was the Crofters Pie from the Well Hung Lamb Company which is made with a mix of cubed and minced mutton. Whilst up in The Black Isle I tweeted the BBC Scotland Kitchen Garden team to say I was just over the water from their studios in Inverness. Pennie Lattin replied and invited me to come and see the show being broadcast live and I jumped at the chance. When listening on the wireless I had imagined them broadcasting from somewhere that was a cross between the Beechgrove Garden and Garden of Eden. In reality its a patch of grass out the back of the BBC Highland Studios. But its definitely live and definitely outdoors. It became apparent that I was going to have to sing for my supper when after a quick chat Pennie suggested I be miked up as a last minute guest. Marie-Claire James was cooking a tomato salsa and a Thai broth. 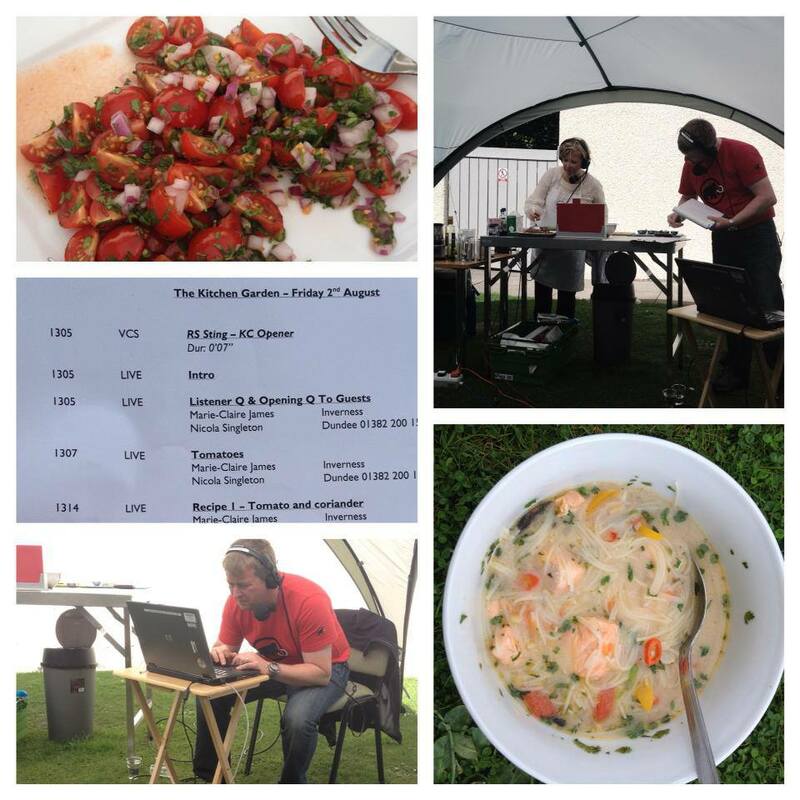 I got to taste both on air and got involved in some chat about turnips, tomatoes and coriander. Thoroughly enjoyed the experience. Enroute to visit friends in Bridge of Allan we had a fab lunch at Gloagburn Farm Shop well worth a stop on the A9 just south of Perth. My Wookie Cave Cheddar Souffle was delicious Fantastic foodie and gift shop too. Purchases were made. 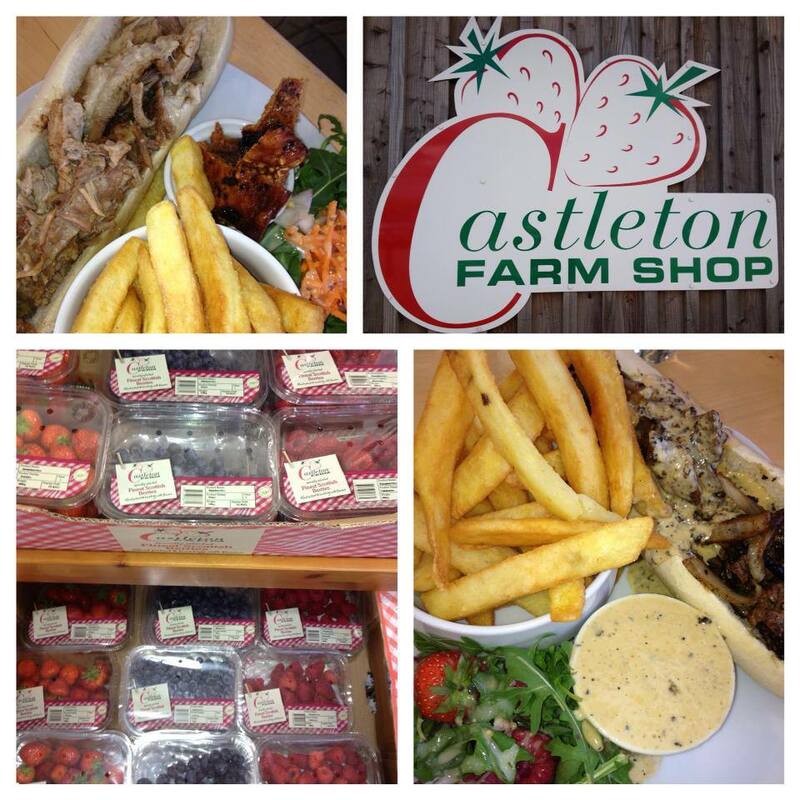 Equally fab stop when heading north on the A90 at Castleton Farm Shop & Cafe. Late lunch (just made it before the no chips after 3pm deadline!) and Cherries and Blueberries purchased. 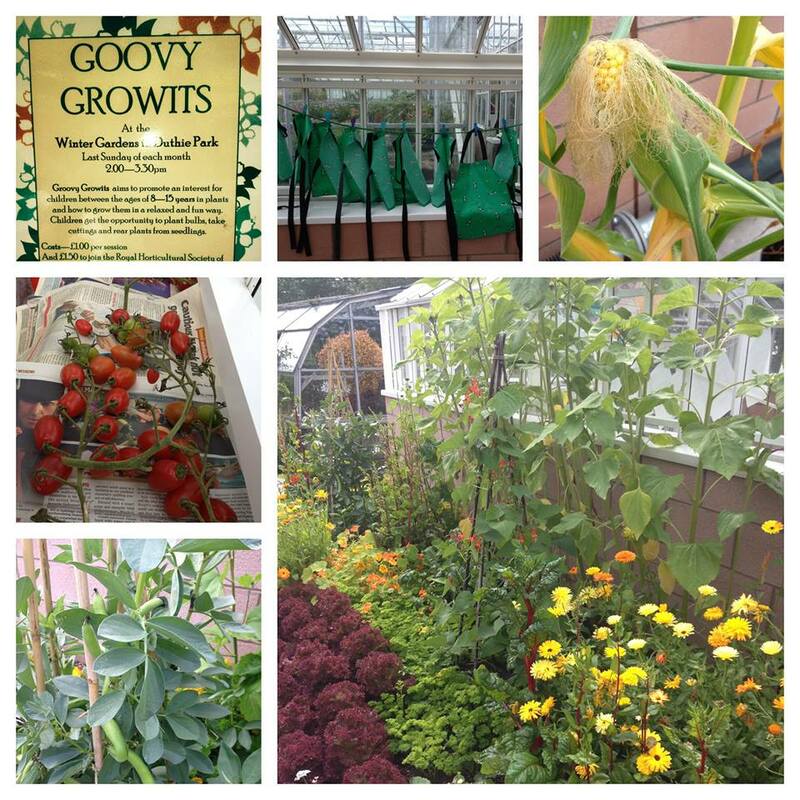 Came across a fantastic Edible Border Garden whilst visiting Duthie Park. 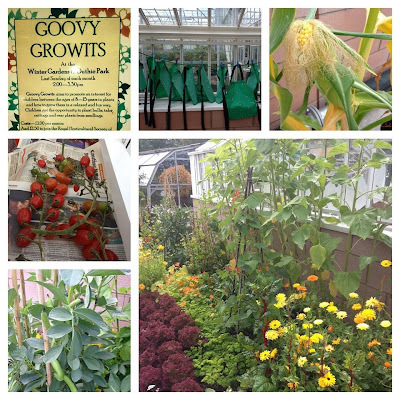 Turns out it was planted by "The Groovy Growits" who are the junior section of the Royal Horticulture Society of Aberdeen. Their tomatoes put mine to shame. Think I need to get boy and girl signed up. 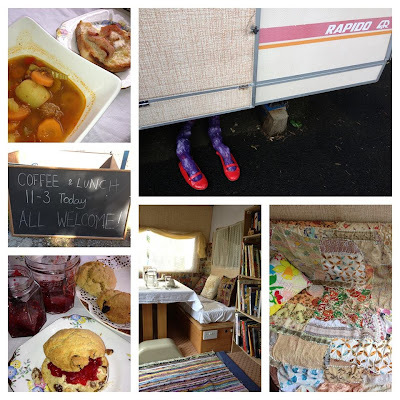 A tornado blew us to Caravanserai in Lumphanan where we dined on Kansas City Steak Soup in an awesome pop-up Rapido caravan. Lions and Tigers and Bears. Oh My! No prices on the menu just a donation box for PICU at Yorkhill Hospital Glasgow. Visit and support if you can. 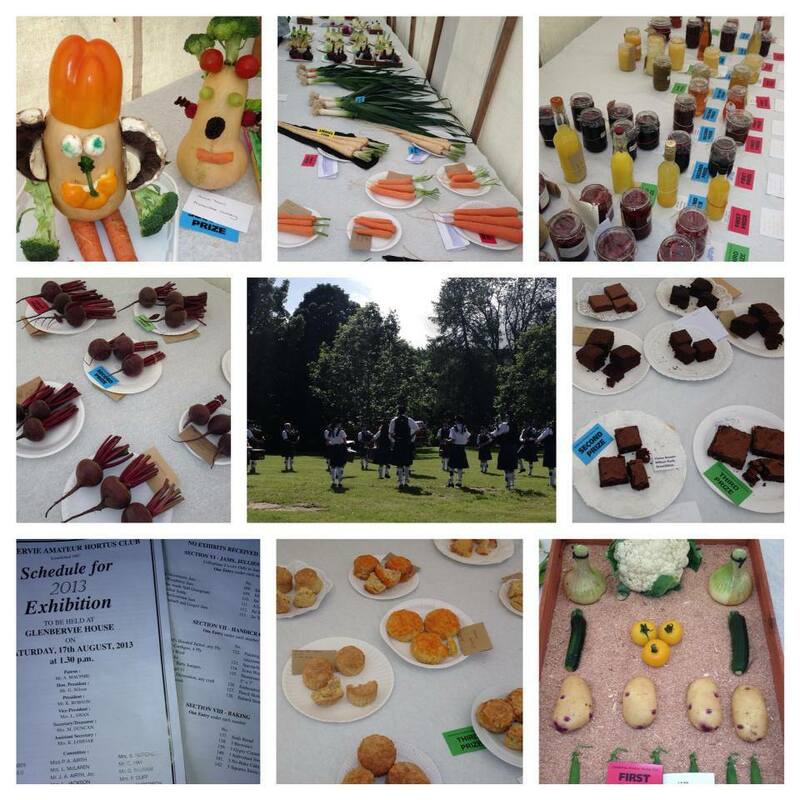 Always enjoy our annual visit with Newtonhill Pipe Band to Glenbervie flower show. Alas I live slightly too far away to compete as I found out last year in my Great Glenbervie Bake Off Blog Post.